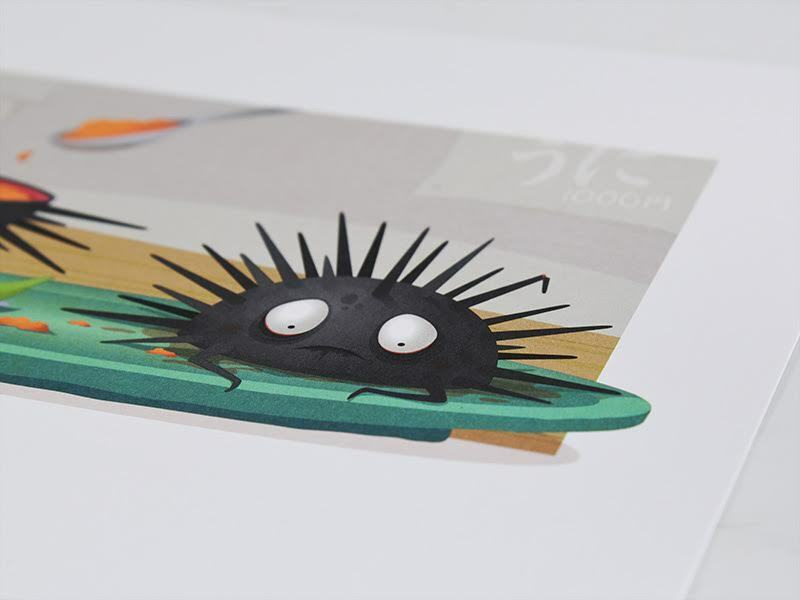 Searching for sea urchin? We’ve got the scoop! 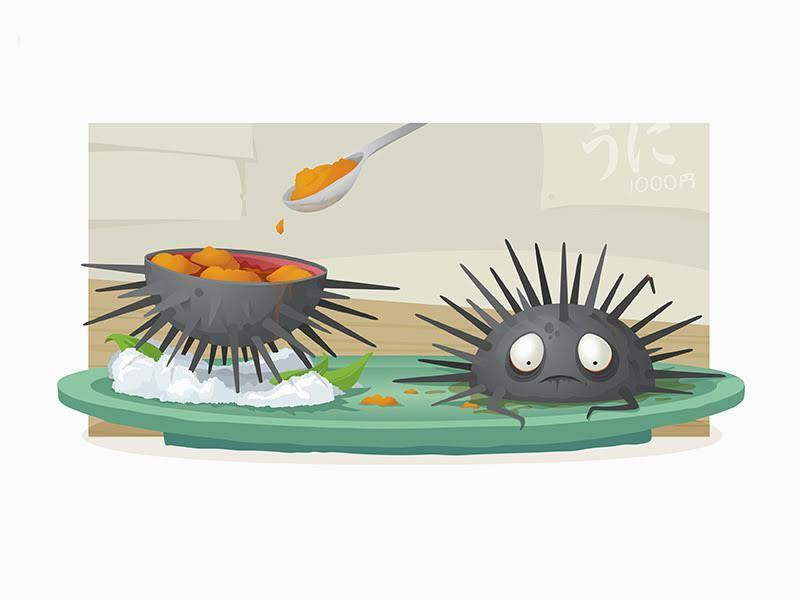 Go nuts with Uni, a unique halved “hedgehog of the sea”. 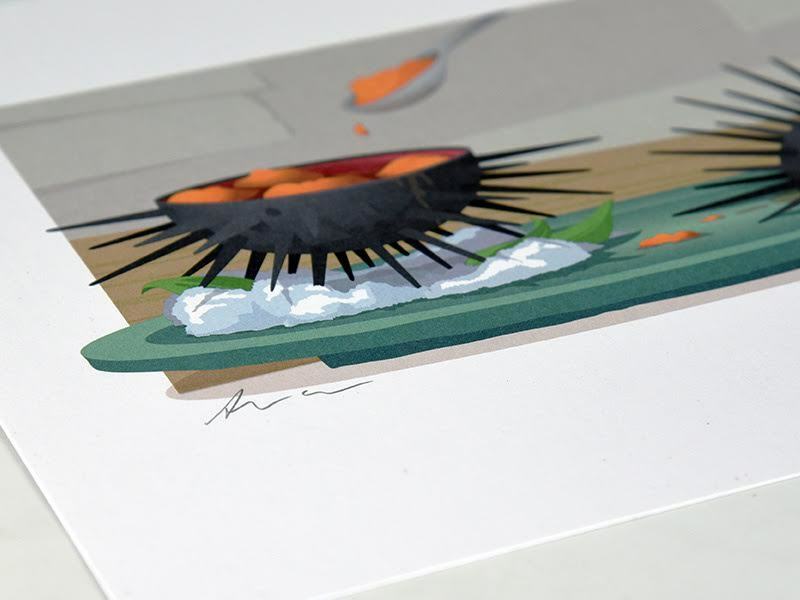 (I’m not sure if anyone calls it this, but they should) 8.5"x11" 4c lithographic print thick 14pt matte cardstock Signed!